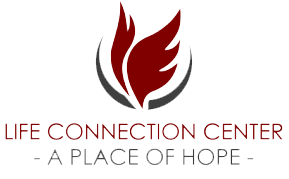 When we notice that one of the clients from Life Connections Center hasn't been around, we always try to go the extra mile to make sure they are alright. If we find out that they are staying outside or if they have been hospitalized we try to stay connected with them. Our volunteers have been known to visit our LCC clients on the street, at the jail, in their homes or at the hospital. During these outreach visits we bring a meal and some much needed encouragement. Life Connection Center volunteers and peers also help to spread the word about our meal program to any homeless person they meet. Periodically LCC Volunteers will hand out toiletries, socks and blankets to those in needs in the community also. Outreach visits occur on an as needed basis for current LCC clients.